Rates are accurate as of 04/13/2018 (Rates are subject to change) The Annual Percentage Yields (APY %) assume funds remain on deposit for the term of the Certificate. There is a substantial penalty for early withdrawal. *To qualify for the $100 Community Bank Cares donation: CB Care Certificate Special requires $25,000 or more in new money not already on deposit and a term of at least 25 months; Local charity or church must be an IRS Tax Exempt Organization; Program limited to one donation per customer; Offer may be withdrawn at any time. Individual Retirement Account Certificates of Deposit are available. 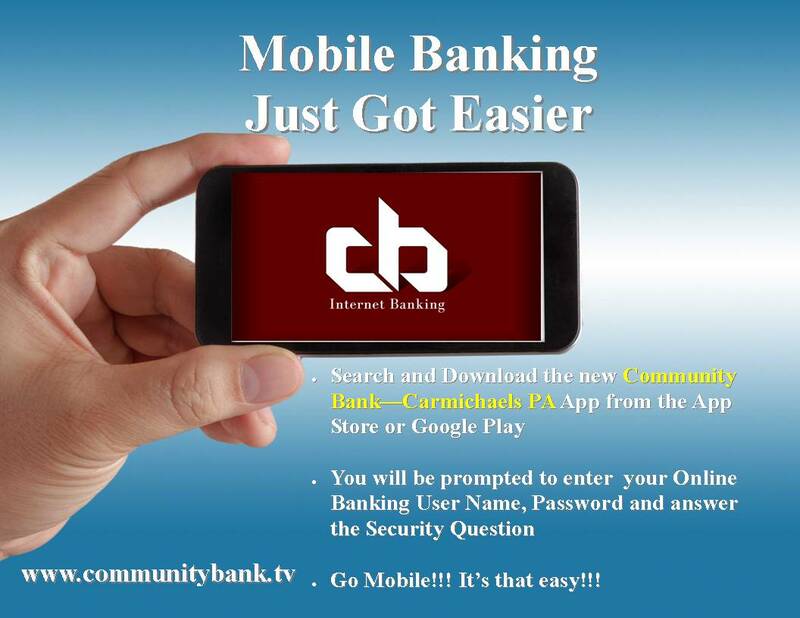 For information call 888-223-8099, email bank@communitybank.tv or visit a convenient location.